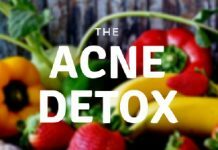 Although taking diet control measures play fair when it comes to treating and preventing acne, this might not be the complete solution. To have an acne-free clear skin you require certain nutrients which you might not get from the food content you eat. When only eating a green diet does not help, supplements play their role. These supplements often contain vitamins, minerals and anti-oxidants that cover up any deficiency that leads to acne and give you a lit-from-within glow. 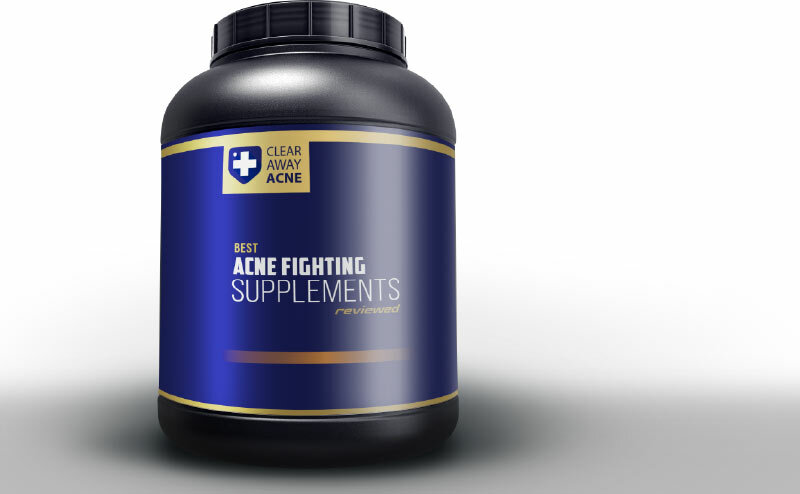 This post is a detailed guide to best supplements for acne. Before actually moving onto the supplements let’s discuss their efficacy and any possible side effects they pose according to science and experts’ opinions. 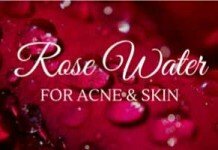 According to Corina Crysler, clinical nutritionist and founder of Glisodin Skin Nutrients say, “Most of the time, the necessary therapeutic dose of a nutrient that helps with skin issues is hard to get on a daily basis.” To fulfill the body requirement of such nutrients supplements play a vital role. The most prominent supplement in curing acne is Zinc. It is used as the common ingredient in sunscreen and also helps your skin in clearing out. Corina Crysler explains, “Zinc reduces the production of dihydrotestosterone (DHT)—which can clog pores and increase pimple-causing inflammation.” Anyhow the daily dosage needs to be divided as zinc can cause an upset stomach. Furthermore, a study published in Dermatologic Therapy shows that zinc is an inexpensive over-the-counter mineral that is effective in treating acne. 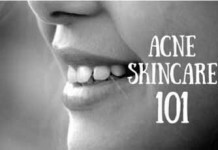 Vitamin A is highly effective for acne. It stimulates the shedding of dead skin cells that clog your pores & its anti-oxidant property eliminates inflammation and calms swollen, red acne break outs. In topical medications the vitamin is transformed into retinoids. According to Mayo Clinic, they are the most effective treatment for acne as they possess the ability to regenerate skin rapidly. 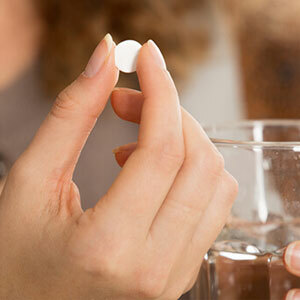 Moreover, an article published by Medical Archives show that low-dose tablets are effective in treating acne. 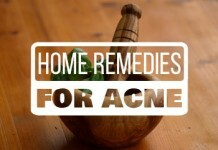 Besides, Vitamin B6 and B12 help especially if you have hormonal acne. 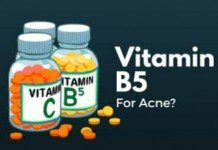 Crysler says, “They are key vitamins for metabolic system and are also known to help with stress and PMS.” So, if you are a victim of hormonal acne you must include Vitamin B Complex supplements in your diet. If you suffer from cystic acne then evening primrose oil supplements are perfect for you. They heal acne lesions and redness giving you a healthy skin. Crysler explains, “It is a best resource of Omega-6 and GLA- another fatty acid, which has anti-inflammatory properties and helps soothe and strengthen the skin barrier.” Omega-6 fatty acids are generally known to reconstruct skin and deliver anti-oxidants for anti-aging results. Apart from this, maca root supplements serve best if your pimples coincide with your menstrual cycle. It is an herbaceous plant that stabilizes your hormones and also deals with stress and adrenal fatigue. Just as different supplements help you in curing acne, they might bring along some side effects. But you need not to worry instead know why any potential side effects occur and how you can stay safe. The side effects of different supplements and how you can avoid them is listed below separately. Vitamin A is taken in the form of retinoids that weakens the skin’s natural UV protection mechanism. Hence, it is recommended to avoid long sun exposures and use sunscreen whenever you are outdoors. Pregnant women must avoid retinoids as they harm fetus development. Although Zinc is very effective, large doses of its supplements might be harmful. 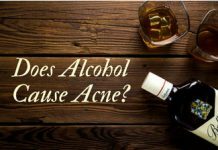 According to a study published in PubMed, a 30mg Zinc dosage is considered safe for treating acne. However, if you are consuming more than that there are chances of you suffering from the side effects. Side effects include nausea and vomiting, diarrhea and stomach pain and copper deficiency. To avoid the following you must restrict your daily intake of zinc to 30mg. The side effects of herbal supplements usually include allergic reactions. So if you are allergic to plants, weeds and pollen, it is better to consult a primary health care provider. Furthermore, if you have health problems such as blood pressure, diabetes, hypertension and thyroid problems, you should again seek medical advice before consuming the supplements. Other harmful effects include itching, dizziness, nausea and diarrhea. You must always remember that ‘natural’ does not always means safe and free of any adverse reactions as various herbal supplements hold different side effects. While you are now fully aware on what different types of supplements are present, you may not be familiar with the trusted brands that offer correct nutrition. This portion reviews the best supplements and you can choose them according to your skin needs. Minimizing oil production and stabilizes your oil glands. 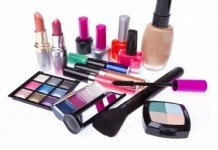 It shrinks pore size and prevents their clogging. Boost skin proteins making it healthier and radiant. Suitable For: All types of skin. Helps in clearing out your skin due to presence of Zinc. Promotes a healthy endocrine system which balances your hormones to maintain a normal oil production on skin. 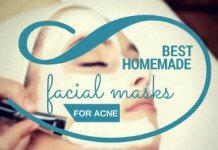 Deals with hormonal and stress triggered acne. Suitable For: Combination to Oily Skin. 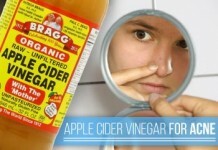 It removes acne from root instead of just eliminating the symptoms. 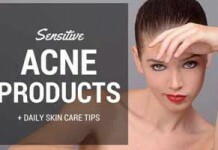 Acnetame pills are especially designed for hormonal acne. It contains ingredients that are backed with scientific research showing improvements in your acne prone skin. This supplement works by minimizing oil production and stabilizes your oil glands which makes it suitable for oily skin. It shrinks pore size and prevents their clogging which is the initial step in the formation of pimples and blemishes. Provides effective blend of vitamins, minerals, anti-oxidants and amino acids that boost skin proteins making it healthier and radiant. It comprises only natural ingredients so that it can fight your acne in a more healthful approach. The presence of sulfur also helps in eliminating any break outs that are present because sulfur has a drying effect. Suitable for teenagers, men and women. It has uncommon side effects that might occur when you take more than one pill daily. These include dry eyes, skin irritation, stomach pain, hair loss, joint pain and headache. Allergic reactions to sulfur or NAC might occur so you need to read the ingredients carefully. Takes up to one bottle to show visible results and skin might get slightly worse before improving so you need to wait. This is an all-purpose zinc dietary supplements that support immune system and promotes a healthy enzyme function in your body. Although not especially designed for acne this supplement helps in clearing out your skin due to presence of Zinc. It promotes a healthy endocrine system which balances your hormones to maintain a normal oil production on skin to give your fewer break outs. Since it stabilizes your hormones you do not feel stress and all your mood swings are kept at bay. Plays essential role in body’s defense against oxidative processes and especially helpful is maintenance of healthy aging. It takes part in protein synthesis that is required for healthy skin and hair. It has a very reasonable price. It contains 50mg of zinc which is much more than the recommended 30mg per day and can causes stomach problems and headaches. Side effects such as insomnia, hot flushes and increased heart rate might occur. Includes rice flour as an ingredient and must be avoided by those who are allergic to it. TreeActiv’s skin care vitamin formula comes with a 100% guarantee of nourishing your skin with all the essential vitamins required for a healthy acne-free skin. It removes acne from root instead of just eliminating the symptoms by flushing out toxins form your skin. Balances your fluctuating hormones due to which sebum production is normalized in turn reducing chances of clogged pores. Comprises of Nicotinamide that acts as an anti-inflammatory agent and heals redness alongside improving skin hydration. 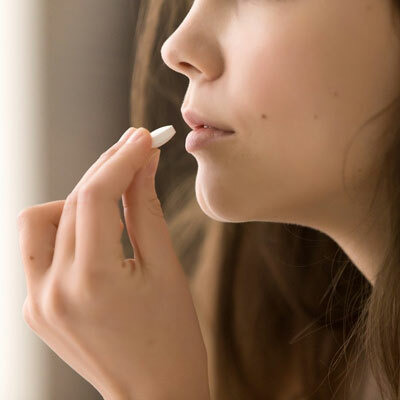 Rich in vitamins, this pill strengthens skin by improving cellular bonds that play vital role in skin tightening which makes it difficult for acne to develop. Since it is a combination of both vitamins and selenium this works great for cystic acne. Shows quick result due to its balanced ingredient formula that contains vitamin B complex, zinc, copper, milk thistle and selenium. This pill can be used without meal. Since it contains an optimum level of each ingredient it might not work for you if you have severe acne or any other substance deficiency that is not present in this supplement. This is a pricey supplement. DIM (Di-indolyl Methane) is an aromatase inhibitors that is found in cruciferous vegetables such as broccoli & cauliflower and acts as an excess estrogen manager in the body. This supplement is suitable for women, men and body builders as it maintains the right estrogen quantity in your body. 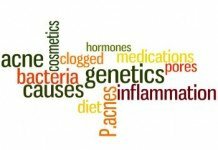 In women it eliminates the estrogen dominance which is a result of menopause and PCOS and leads to hormonal acne. It reduces menopausal hot flushes, mood swings and night sweats alongside helps lose stubborn body weight gained due to hormonal imbalance. Provides amazing fitness results in men as less estrogen means more ability to gain muscle mass. Improves the effectiveness of testosterone by eliminating excess estrogen and also enhances prostate health and acne control. The presence of Bio Perine i.e. a black pepper extract helps in the absorption of DIM in your body to deliver effectiveness. It is free from soy, dairy, gluten and magnesium stearate. Not suitable for use for teenagers under 18, pregnant and nursing mothers. This dietary supplement needs to be taken with food and not on an empty stomach. It might cause allergic reactions as it contains organic brown rice concentrate. This Vitamin Pack is the only supplement in the list that provides daily packet supplements i.e. each of its packets contains two vitamin capsules and two gel caps that are to be consumed in a day. Suitable For: Normal and Combination skin. 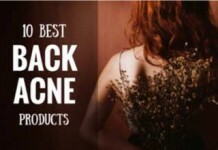 It is designed for all kinds of acne including back acne, cystic acne, genetic acne and hormonal acne. Rich in a variety of vitamins which provide anti-oxidants to the skin while making the skin lose all its dead cells. It comprises of zinc that greatly reduces your acne by metabolizing omega-3 fatty acids. The anti-oxidant mineral selenium promotes enzymes that keep your skin healthy and soothe inflammation. It includes evening primrose oil that moisturizes skin and addresses to skin issues such as roughness, dryness, wrinkles and irritation. Contains organic turmeric that helps in regulating oil and also reduce acne and acne scars as it targets your pores. It might show no results on extremely oily and acne prone skin. Since it contains evening primrose oil, it might cause allergy on sensitive skins. It is an expensive supplement. Murad’s Dietary Supplements are specifically designed to clear skin that has been affected from acne and pimples. It includes mainly vitamin A and some anti-oxidants that prevent blemishes. Suitable For: All types of skin especially oily skin. These supplements mainly comprise vitamin A that stimulates cell production to get rid of clogged pores by shedding dead cells. It contains yellow dock extract which is a detoxifying herb and deep cleanses your skin eliminating acne. Burdock root extracts also help in removing impurities from our pores and prevents oiliness so that pores do not block forming comedonal acne. The presence of Zinc provides anti-inflammatory properties and deals with elevated stress hormones to make your skin clear. The vitamin content helps in protein synthesis and makes your skin look younger and youthful. 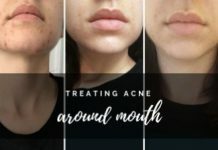 This supplement might not work for you if your reason of acne is something other than the deficiency of vitamins and minerals. Extremely dry skins might break out even more so it is better you avoid them if you have dry skin. Needs to be taken 4 times a day. Estroblock Pro Triple Strength formula works as an aromatase inhibitor and estrogen blocker to eliminate acne, detox hormones and lose excess body fat. 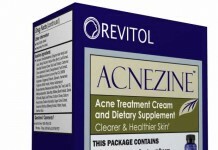 This supplement helps clear toxic estrogen and restores the good estrogen which in turn keeps acne and pimples at bay. It helps in the detoxification of hormones that turn into DHT and trigger excessive sebum production in order to prevent any clogs and oil buildup in your pores. In women it helps lose body fat that result as a symptom of menopause or PCOS. In men it improves testosterone production and prostate health alongside increasing libido. 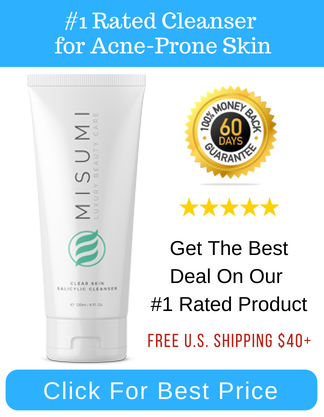 Consists of wasabi root that reduces oil and strip off acne-causing bacteria from the skin. The presence of rice flour as it acts as a skin brightening agent and improves acne scars by soothing irritated skin and blemishes. 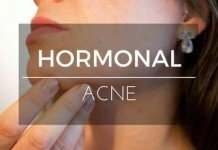 It does not work for acne that is not associated with hormones. It contains wasabi root that might cause skin irritation and itching, hence, you should avoid it if you have sensitive skin. It is a pricey supplement. 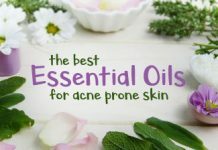 I hope this post has helped in giving you a deep insight on the best supplements for acne prone skin. 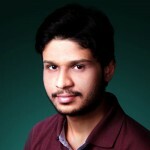 Do share your experience if you have ever taken any supplements to cure acne. Did it work for you? Let us know in the comments below!